Home » Why Choose MVC? Dr. Dando has successfully performed over 16,000 laser vein surgeries and 19,000 sclerotherapy sessions. He practices vein medicine full-time; his practice focuses ONLY on vein medicine. Modern vein medicine requires extensive ultrasound and needle placement abilities. Some physicians feel that knowledge of conventional surgical techniques (i.e. “stripping”) is required or is advantageous in regards to modern vein techniques. This is simply not true. All of the minimally-invasive procedures used in vein medicine today are based on ultrasound imaging and needle placement— skills very different from conventional surgical techniques. Consequently, knowledge of conventional surgical techniques does not guarantee that a physician possesses the necessary skills specific to state-of-the-art, minimally-invasive vein care. Dr. Dando recognized early in his vein career the importance of intensive ultrasound training because it is the ability to perform precise ultrasound scanning during vein procedures that results in the best outcomes for our patients, along with providing the highest degree of safety. Dr. Dando personally performs all ultrasound scanning during each vein procedure. Dr. Dando is certified by the Alliance for Physician Certification and Advancement (APCA) as a Registered Vascular Technologist (RVT) and a Registered Physician in Vascular Interpretation (RPVI). In addition, he is also certified by Cardiovascular Credentialing International as a Registered Phelobology Sonographer (RPhS). Also,Dr. Dando is a Diplomat of the American Board of Venous and Lymphatic Medicine. This is the national organization of physician vein specialists—doctors who focus on the diagnosis and treatment of venous problems—not other vascular issues. Certification in this organization is available to physicians only. He is one of the few physicians in the country to hold all these credentials. 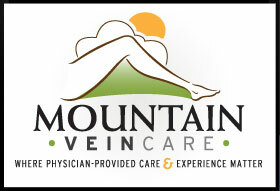 All laser vein surgeries, phlebectomies, and ultrasound-guided sclerotherapy sessions provided at Mountain Vein Care are performed by Dr. Dando. Unlike some vein practices, we do not use nurses, physician assistants, or technicians to perform these procedures.